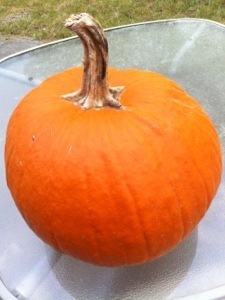 For some freakish reason, my pumpkin from last October is still doing great. This is a pic from … right now! 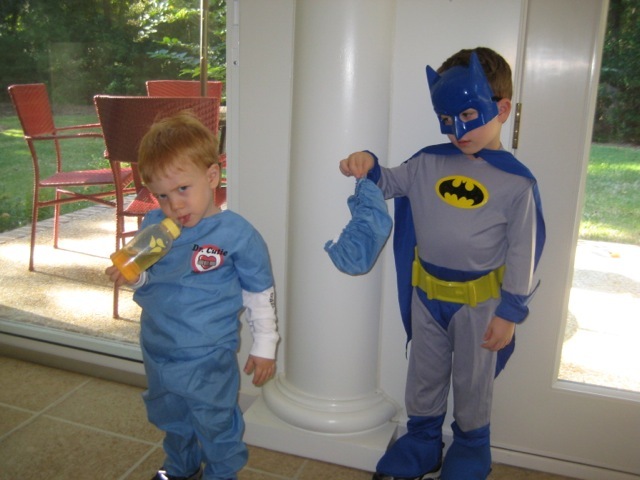 It made me think about a couple of Halloweens ago when grandson/Batman Daniel got frustrated with little brother Gabriel when G wouldn’t finish getting dressed in his doctor scrubs for trick or treating. But what should I do with that pumpkin? See if it will make it till fall?